Our new company name is Pike13! 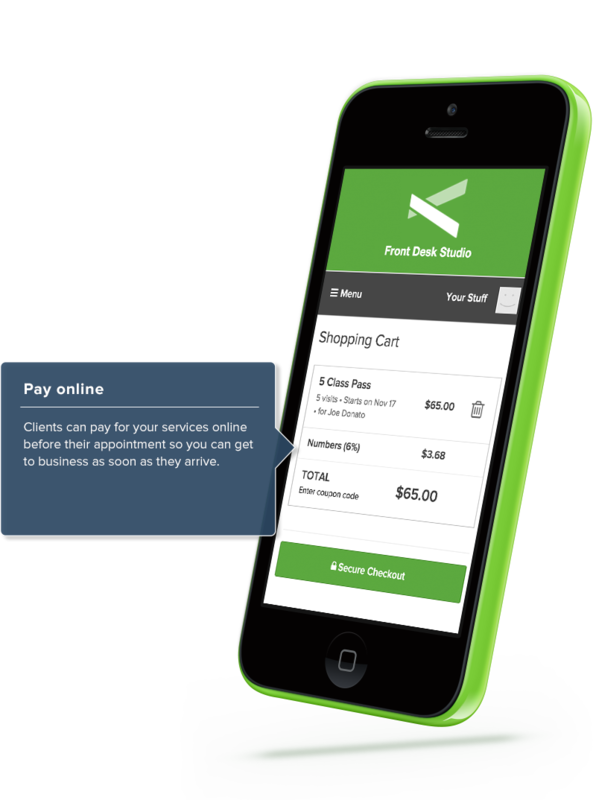 But we still provide the same product that thousands of business owners trust to help manage their administration. 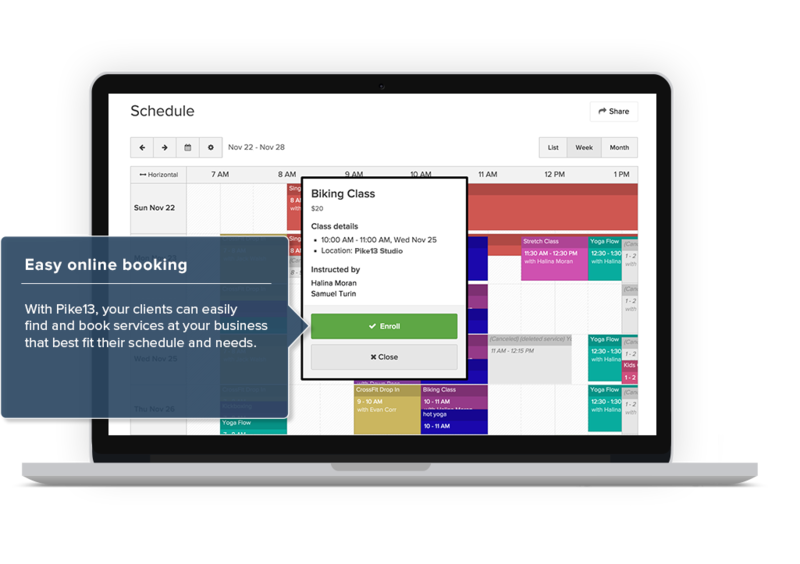 Pike13 is a powerful business management software that delivers mobile scheduling, client management, and payment processing to personal services businesses (like gyms, yoga studios, music and dance schools) and franchises. 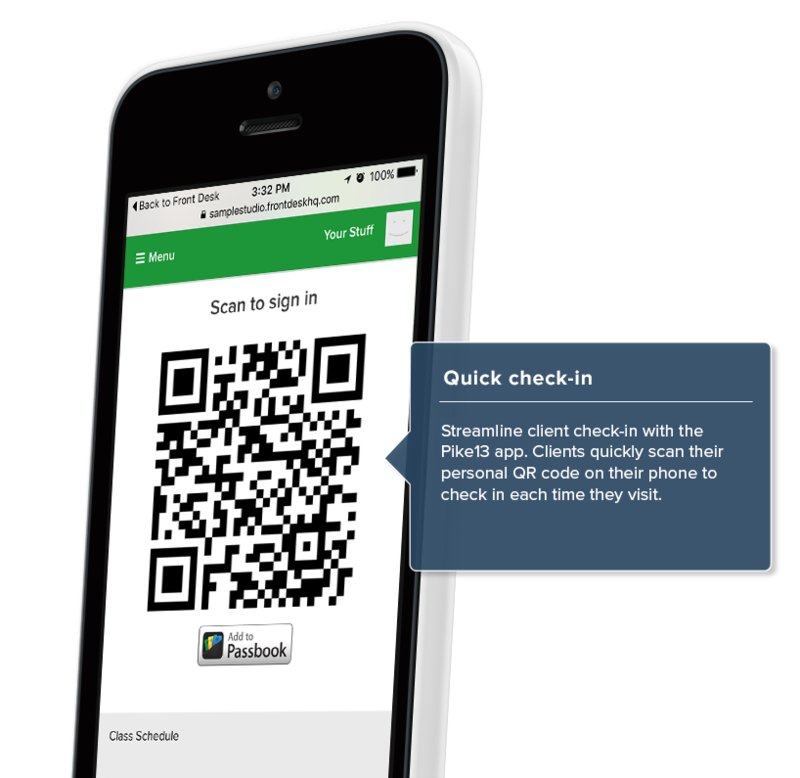 Perfect for managing courses, memberships, plans or even drop-in classes. 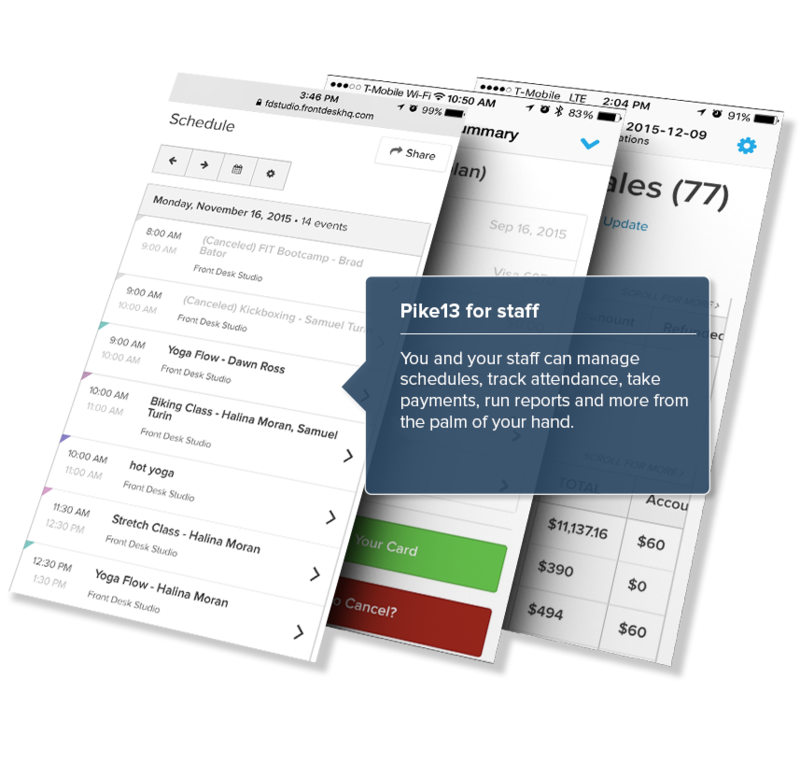 Pike13 gives you, your staff, and your clients the power to manage schedules, attendance, billings and more from anywhere, anytime. Your Pike13 is simple to set up and simple to use. 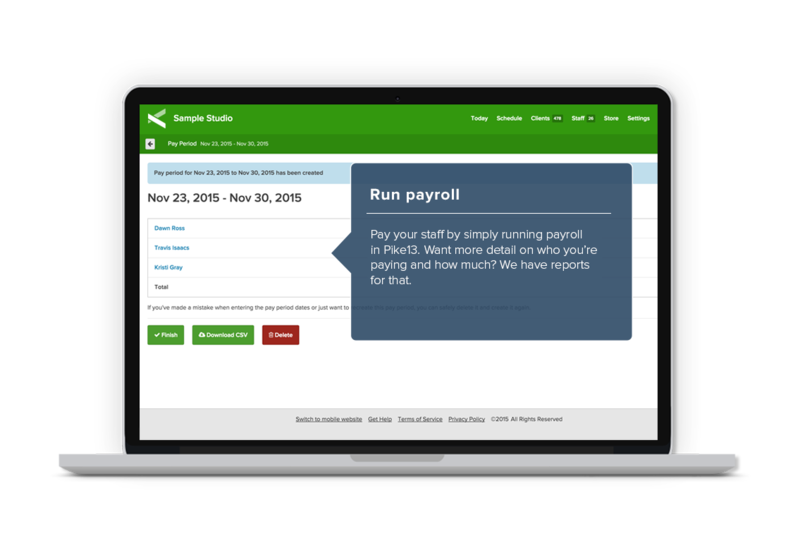 We take the mess out of business management so you can focus on what got you into your business in the first place—your passion. Hi there! 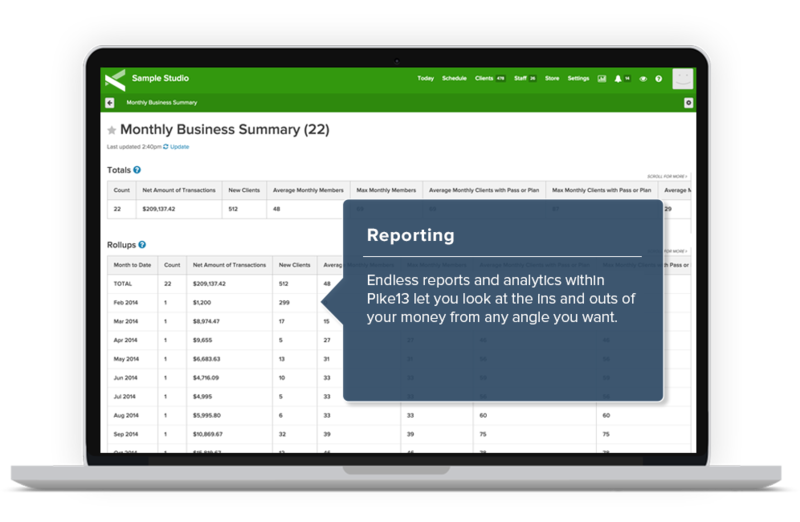 Are you looking to implement a solution like Pike13?